Hip Hideaway above the Farmington River. Perfect as a private getaway or a year-round home. 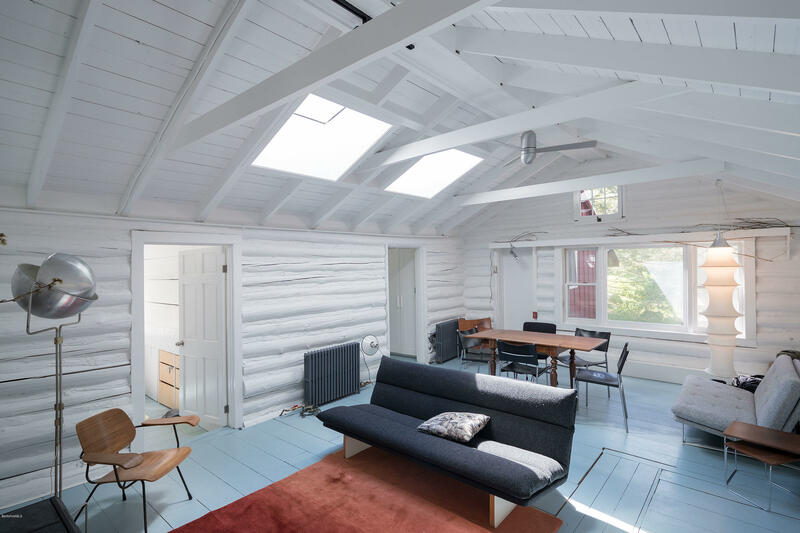 This contemporary cabin conversion exudes comfort and style from every corner. A wonderfully renovated and light-filled kitchen, large living area with woodstove, and stylish separate (& heated) studio highlight this unique three bedroom offering. Dine al fresco on the deck in the summer, cozy up to a fire in the winter, and listen to the river in all four beautiful Berkshire seasons. A rare and special offering, especially at this price. Easy access to the Berkshires, steps from the New Boston Inn, and only 2.5 hours from NYC.